Wedding Ring Prize Winners from the Wedding Fayre at Forbes of Kingennie came into the store and had their wedding rings designed. The bride selected a shaped wedding band in platinum, created to fit around her platinum engagement ring. The groom selected a flat court profile ring in platinum. The finished rings look great and the couple are delighted. An engagement ring is perhaps the most precious gift anyone will ever receive. But what happens when a traditional wedding ring doesn’t fit snugly up against the engagement ring, leaving that unsightly gap between the 2 rings? A shaped wedding band will follow every curve and undulation of your engagement ring, resulting in a unique wedding ring flowing perfectly round your engagement ring – with a trace of any unsightly gaps. We are exhibiting our range of our shaped to fit wedding rings and more in the Caird Hall Sunday 5th May. We will be at Forbes of Kingennie wedding fayre along with Radio Tay today between 12-4pm. 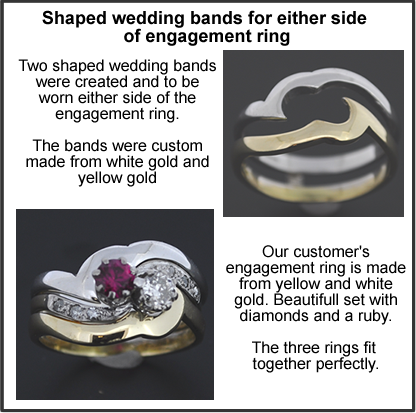 Why not come along and see a selection of our “shaped wedding rings”. 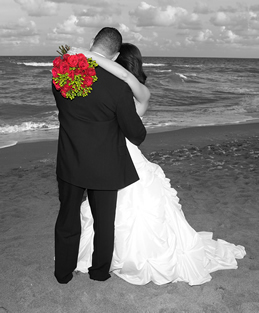 We will be at the Forbes of Kingennie Wedding Fayre on Sunday 24th March along with Radio Tay. 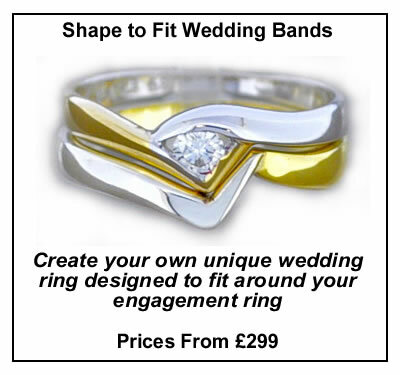 Come along and see a selecton of our “shaped wedding bands”. 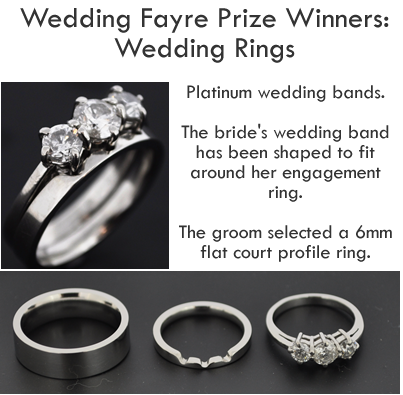 We will be taking a selection of our “shaped wedding bands” to the wedding fayre at Forbes of Kingennie on 24th March.